Seriously, it's on Salisbury Plain. How odd. Looks like its rather unknappable sadly. 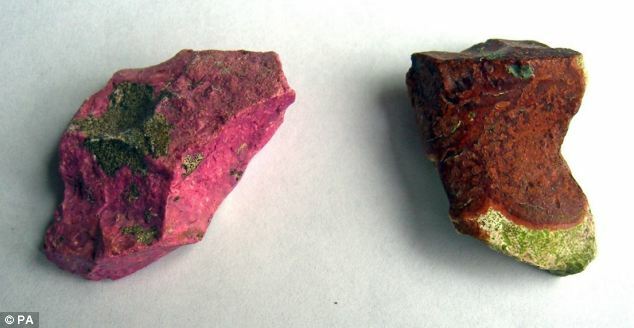 I've seen flint take on patinations of all sorts of colours but never bright pink! I'm wondering what colour flint it was initially and how deep inside the colour stain goes. It make just be an outer coating on unknappable light grey flint, or possibly highly knappable pure white flint. by the look of it on the video its a blackish flint and only the outer skin goes pink when contacting with the air like a rust? I think it's from the algae in the water.